How can I play M4B audiobooks on MP3 player? M4B is said to be the best format, to play audiobooks in your iTunes as it can start reading from the marked page instead of reading it from the beginning. Usually, audiobooks are downloaded from the online digital stores like Audible. As some of the Audiobooks are protected it DRM, you cannot play them in other MP3 players. Moreover, M4B files are not compatible with many multimedia players. In that case, it would be better if you convert M4B files into MP3 as it is the most popular media format for streaming in any media player. Moreover, you can also convert a DRM protected M4B files into MP3. As we know, M4B audio files are only compatible with media players like iTunes, so you need to convert it into MP3 with the help of a reliable & professional third party application. However, many converters cannot convert DRM protected M4B files with original content. In that case, you should opt for an application which is specially designed to convert any type of media file into other formats. It is recommended to use iSkysoft Video Converter Ultimate. It’s the best audiobook converter which can convert any number of audiobooks instantly and allow its users to listen to any audio file anywhere & anytime they want. To convert any DRM protected M4B files into MP3, iSkysoft Video Converter Ultimate for Windows is your best choice. 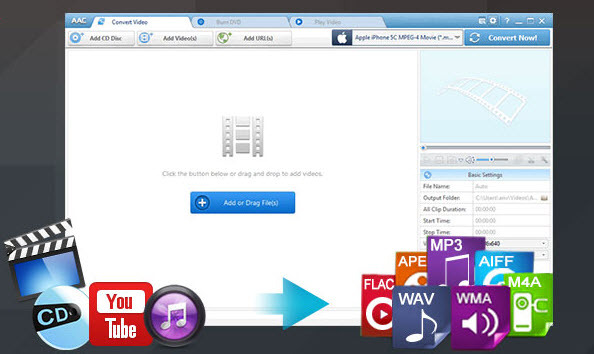 Convert iTunes DRM protected M4B files into other media formats such as M4A, AAX, WAV, AA, AAC, FLAC and 150+ different formats as you want. Import the converted MP3 Audiobooks into any Media player or Device supported format directly, such as iPod, Zune, PSP, iTunes etc. Convert any Audiobook format such as AA, AAX, M4B, M4A to MP3 for more compatibility with media players or devices. Protect the first picture and audio quality since it wraps up your media records just in another holder while keeping the underlining codec unaltered. License you to download and convert music and video directly from online sharing websites such as YouTube, Vimeo, Hulu, Facebook and 1,000+ sites more. Flexible and reliable Audio and Video Converter for Windows 10/8/7/XP/Vista and macOS 10.13 High Sierra, 10.12, 10.11, 10.10, 10.9, 10.8, and 10.7. Users who love audiobooks, prefer to convert a number of M4B files so that they can listen in any Portable device on the go. 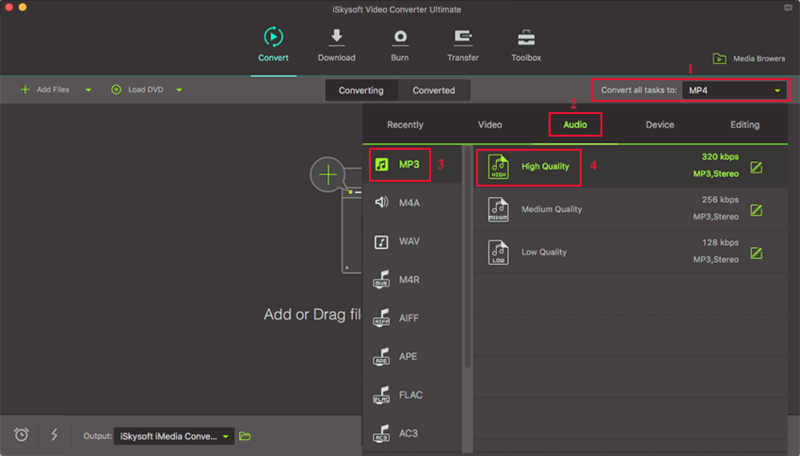 It is advised to use a professional Audio Converter like iSkysoft Video Converter Ultimate which can convert any multimedia files with original audio quality. With the help of this quick and easy user guide you can easily convert your M4B files into MP3 format. In the first step, add the target M4B Audiobook files in the program. Launch the iSkysoft Video Converter Ultimate and then drag & drop the M4B files from your PC. You can also add DRM protected M4B files in the program. 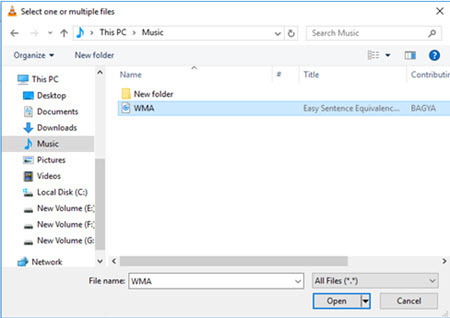 Alternatively, you can use Add files option to Load the M4B Audiobook files from your PC. After modifying all the output settings, choose Audio category and then select ‘MP3’ from the output profiles along with the audio bitrate settings. During conversion, the M4B files will be compressed and converted into MP3 file format with a reasonable size along with original audio quality. Choose any file destination from the output folder. Initiate the conversion process, by clicking the ‘Convert’ button. The M4B Audiobooks will be converted into MP3 within seconds. Similarly, you can convert the M4B files into any other audio or video file format such as M4B to FLAC, M4B to AAC, M4B to M4A, M4B to AA, M4B to WMA, M4B to WAV and so on. Tips: What is M4B Format? M4B comes from MP3G-4 part 14 file type, which consists of audio layer in an audio book container file format. M4B files are usually used in iTunes for listening to audiobooks. M4B is very similar to M4A file format. But M4B files are much better compared to M4A, as it supports essential information such as Metadata for bookmarks or chapters. In other words, M4B file supports chapter markers, which makes it easier to pause or re-start from any chapter as per your requirement. Nowadays, M4B audiobooks are being sold in various digital content marketplace or stores, which can be played in media players like iTunes. Even iTunes store sells audiobooks for your convenience. However, most of the audiobooks comes with DRM protection which can be played only with authorized users or Apple devices. So, for non-iTunes users it is recommended to convert the M4B audiobooks in MP3 format for more flexibility and compatibility with other media players or devices.